With 2 babies and a young child in the house, it can get really crazy here. Carlson will request for his milk then Chantelle will be crying for hers as well. 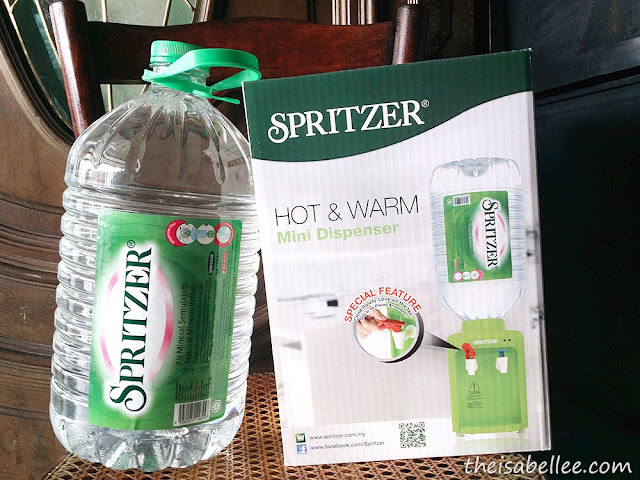 Then I was introduced to this Spritzer Hot & Warm Mini Dispenser! If your new baby is sleeping with you, you can place one in your room so you don't have to go into the kitchen at 3am to boil water for milk. So convenient! This is not your regular Spritzer water bottle. After you open a seal you will see a white 'lock' which prevents the water from coming out until you install it into the dispenser. 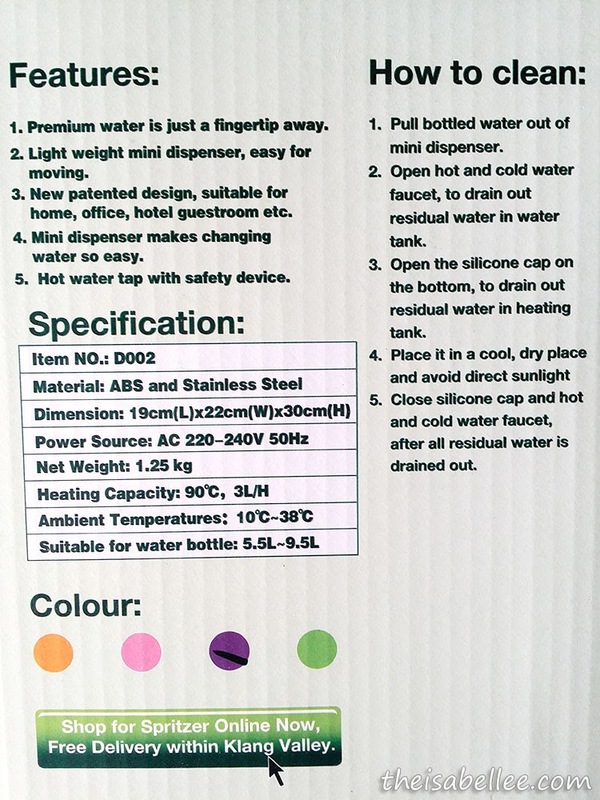 The water dispenser comes with this thing that pushes the white 'lock' to allow the water to come out. This way, there are no risks of water spilling when you turn it over. The bottle is also not as heavy as I expected so girls can refill it themselves. Make sure you let the water run from the hot water tap before switching it on so there is water in the tank before you heat it up. 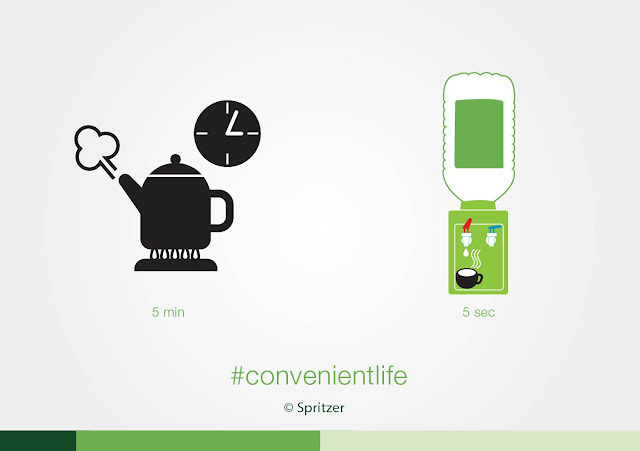 Here's to a #ConvenientLife with #SpritzerMY! 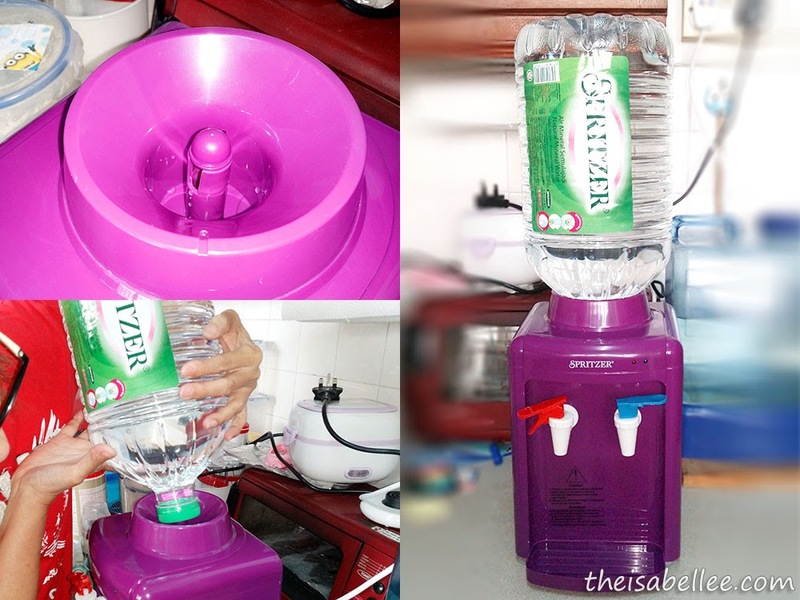 =D If you're interested in getting this dispenser, it's RM 88 at http://www.spritzer.com.my/shop/. The dispenser is available in 4 colours - Pink, Green, Purple & Grey. I wanted pink at first but in the end got purple hehe..
To join this contest, just answer the question in the comments section! =D Remember to leave your e-mail address in the form so I can contact you if you're the winner. 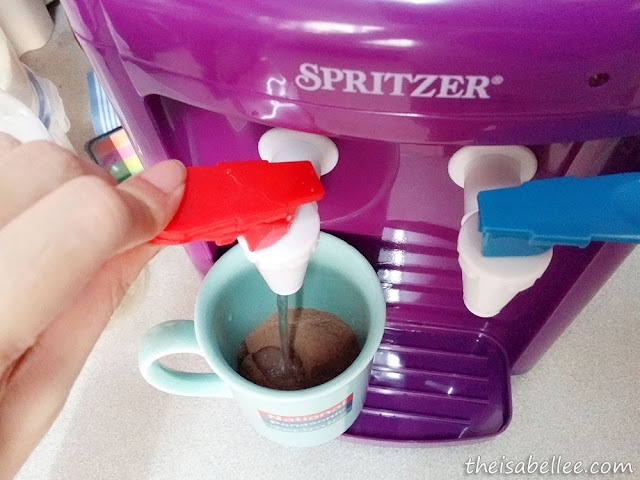 Question: The Spritzer Dispenser is available in 4 colours. Name the 4 colours. OMG OMG I need this so badly. I really dislike to wait hot water to boil and sometimes it burn my hand! I want to join ur Spritzer hot and warm mini dispsnser giveaway! 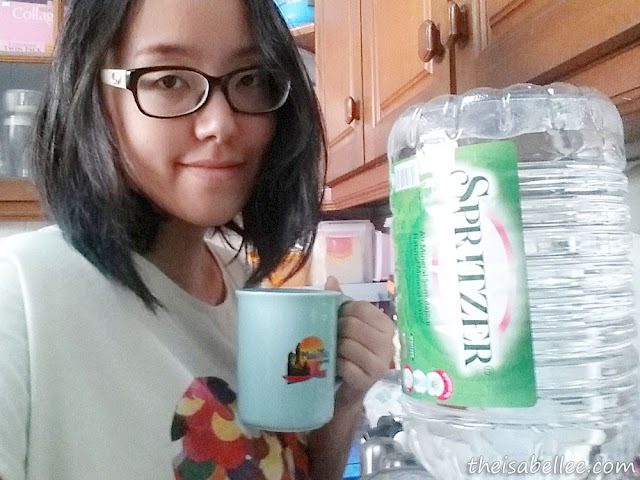 I always hear the Spritzer Ad over on RedFM haha. The one I have at home right now is the polycarbonate water container. 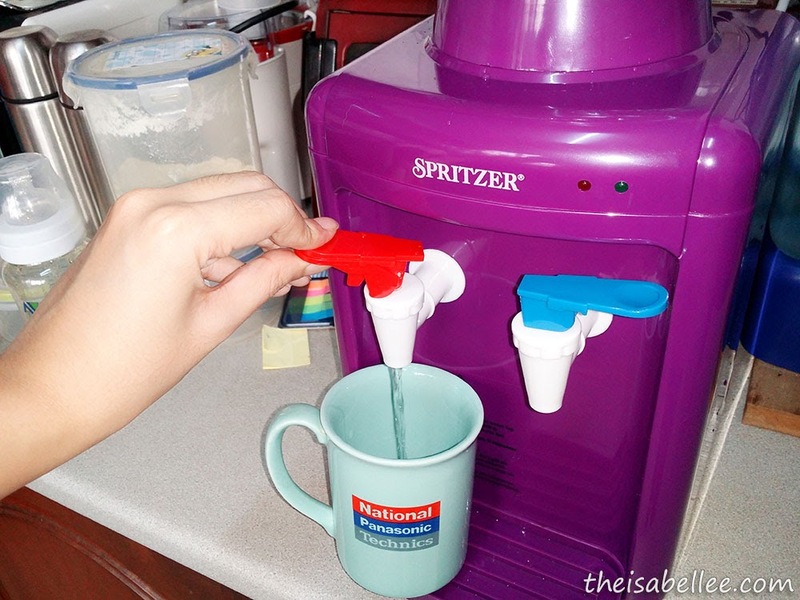 If only I have Spritzer Hot and Warm Mini Water Dispenser, how easy my life would be! Definitely a good thing for those who are away from home! :D nice review! Wow! Great product! So convenient to use!~ Like it so much! 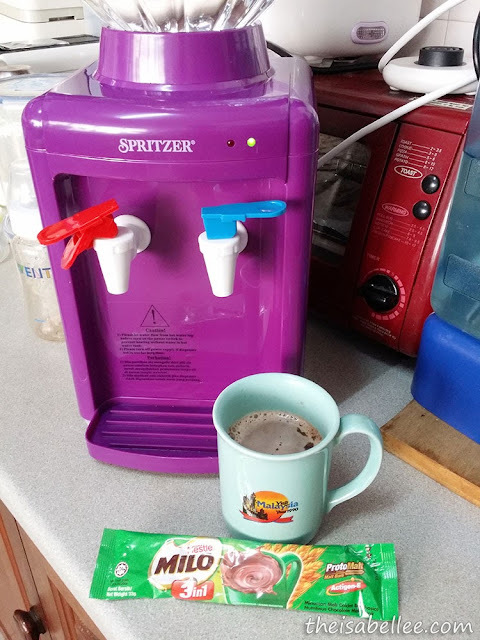 i love the water dispenser. i always used them. especially when including delivery. 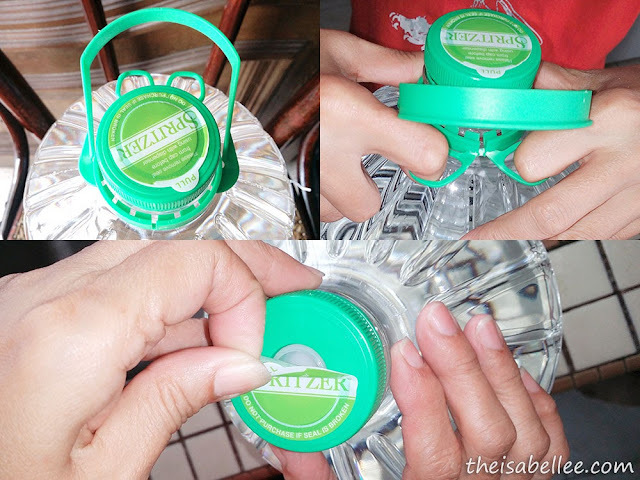 convenient and you can see the water in the transparent container. 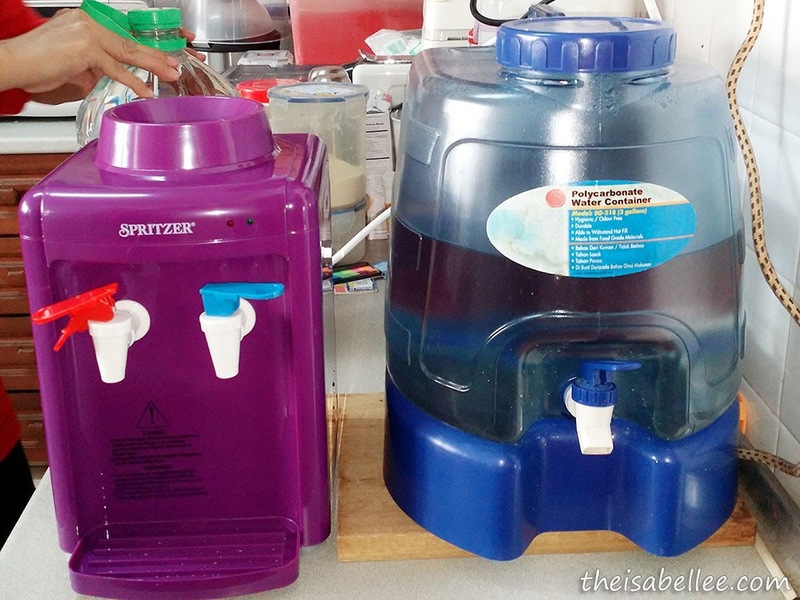 always looks safe to drink compared to the water filter. Pink, Green, Purple & Grey! Four Colours: Grey, Green, Purple and Pink. 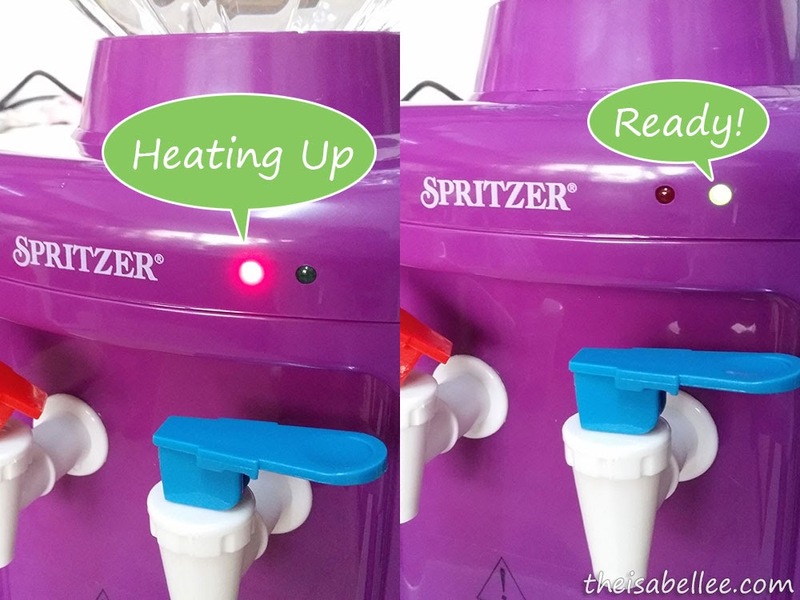 Spritzer Dispenser are available in four (4) colours, they are Pink, Green, Purple and Grey colors. It comes in four colours! They are orange, pink, purple and green!